We are currently previewing four vendors each day on Facebook who will selling their uniquely handmade items at the Funky Finds Holiday Shopping Experience! Mark your calendars for November 15th & 16th and join us in Fort Worth, TX!!! 2hartscreations - Leila Gill left her corporate job to follow her dream of creating one of a kind items for others to enjoy. 38Stitches - Rachel Davis counts herself lucky to be wife & mom with a business doing what she loves! 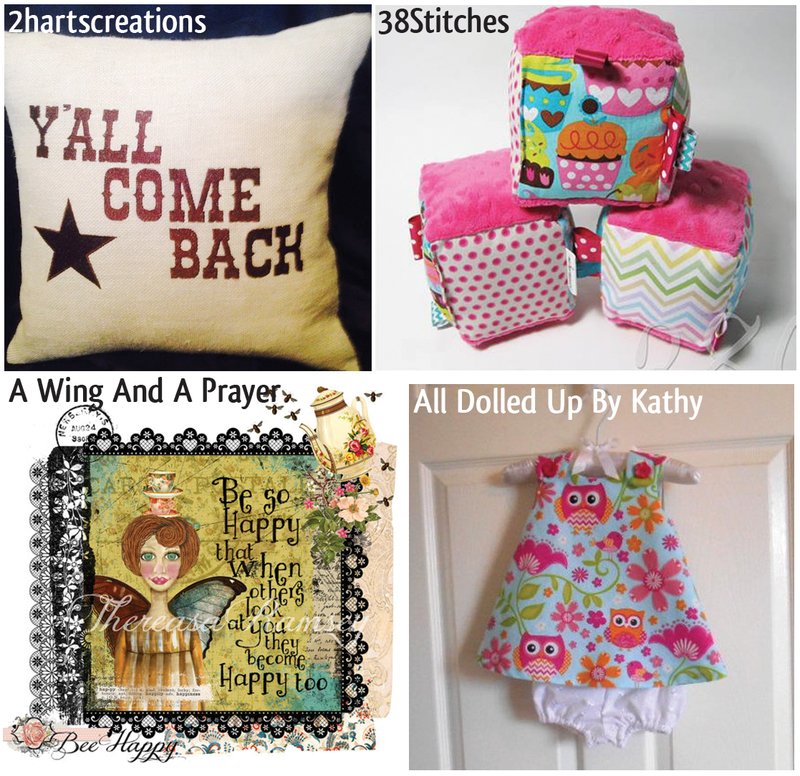 A Wing And A Prayer - This talented family creates original artwork on canvas and vintage tags. 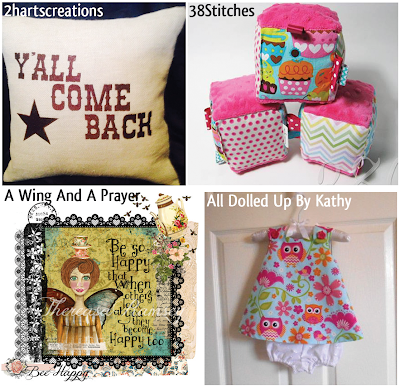 All Dolled Up By Kathy - Kathleen Alusick is an avid sewist & needleworker who learned a lot of her skills from a tailor she worked for when she was in college. All With Love - Beautiful accessories handmade by the mother and daughter team of Evelina and Tiffany Nappier. 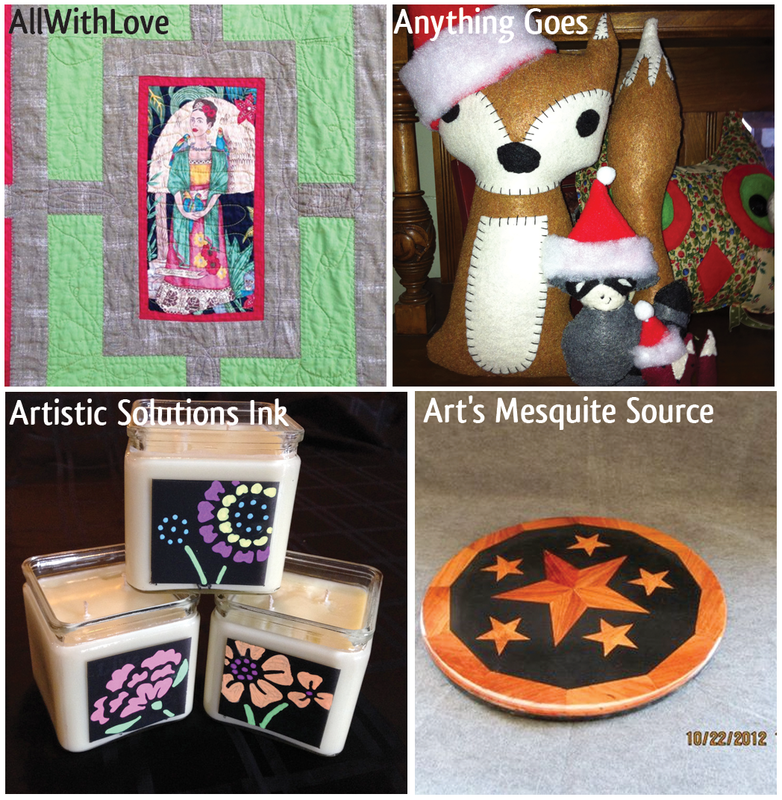 Anything Goes - A creative duo who enjoys sewing, crafting, reading, & volunteering. Artistic Solutions Ink - Julie McCall left the corporate world to slow down to a manageable pace and get back to being creative. Art's Mesquite Source - Blasa Chapa is a wood worker who handcrafts all his items. Artwork by Kristy Jarvis - After rediscovering her love of drawing and painting, Kristy began brining to life all these characters in her imagination. 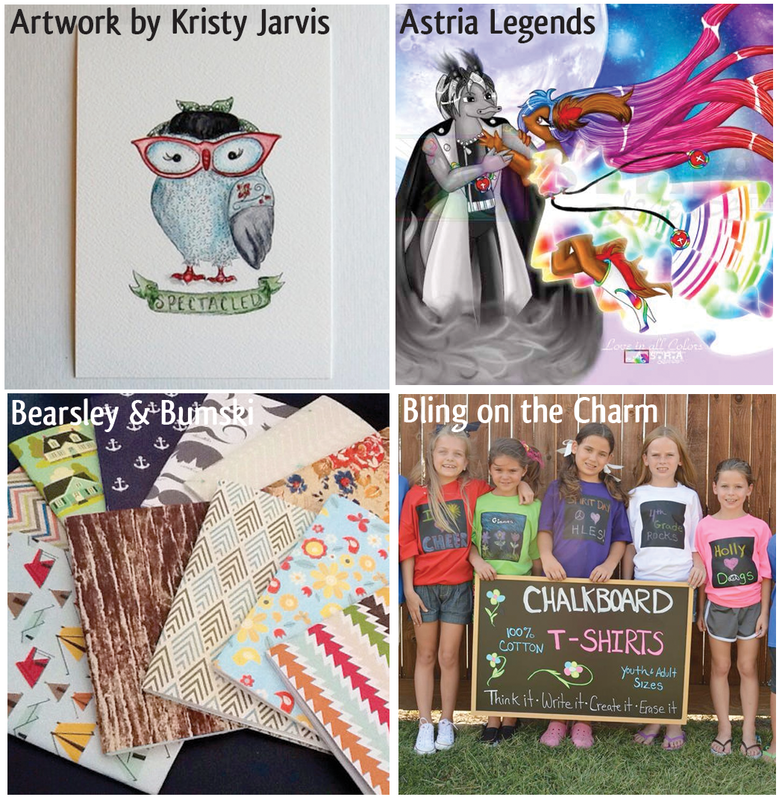 Astria Legends - A.S. Reaves has had a passion for the arts since she was a young girl. Aside from bringing the Astria Galaxy to life in writing and art, she is a dance choreographer and director of her own style of live dance productions. Bearsley & Bumski - Jotters made fresh! Crass stationery! Original artwork! Home Decor! Bling on the Charm Bracelet Boutique - Amy DeGray founded her business after noticing there weren't many items available in way of "blingy" & fun personalized accessories for kids. Bobkat Metal Creations - This husband & wife team enjoy welding small metal creations that are unqiue. BoG Productions - Shaun Mullin puts the FUN in Functional with dabblings in pottery, polymer and paper. 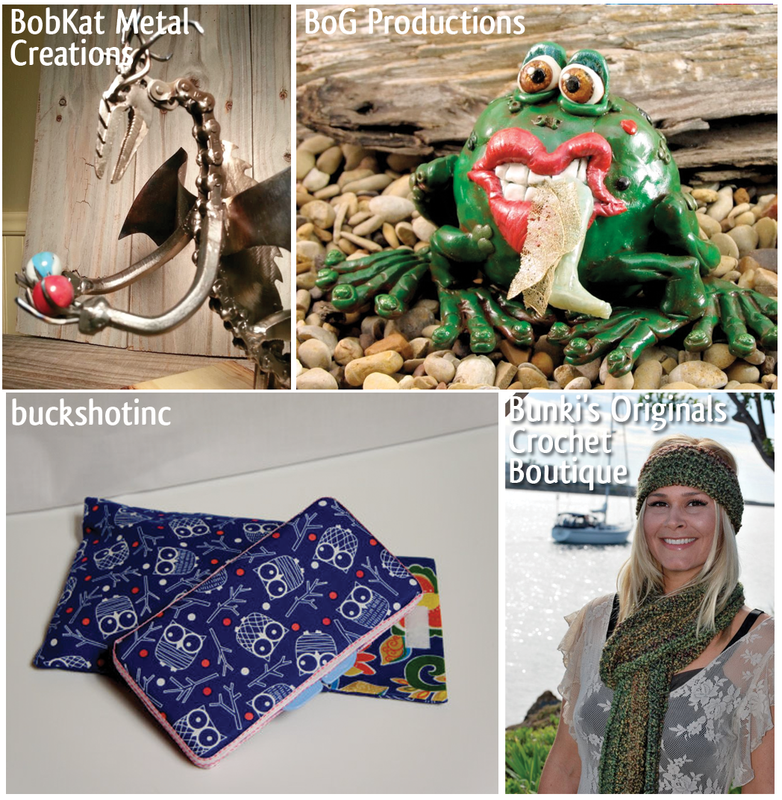 buckshotinc - Christy Hundley is an artist in love with all kinds of mediums! Bunki's Originals - Bunki Lego has been an avid crafter ever since she got her first sewing machine as a child, over 50 years ago. Cahoots Handbags - Cahoots Handbags are handmade from vintage textiles such as 1940s feed sacks and 1960s velvet upholsteries in tiny limited editions. 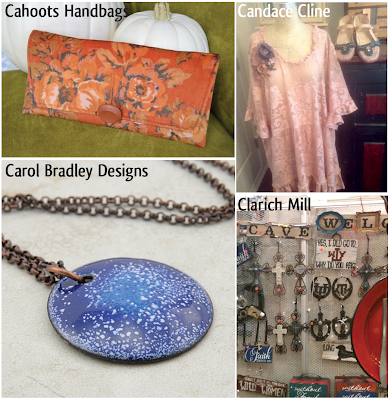 Candace Cline has been an artist and seamstress all her life. She enjoys creating one-of-a-kind clothing pieces for others to enjoy. 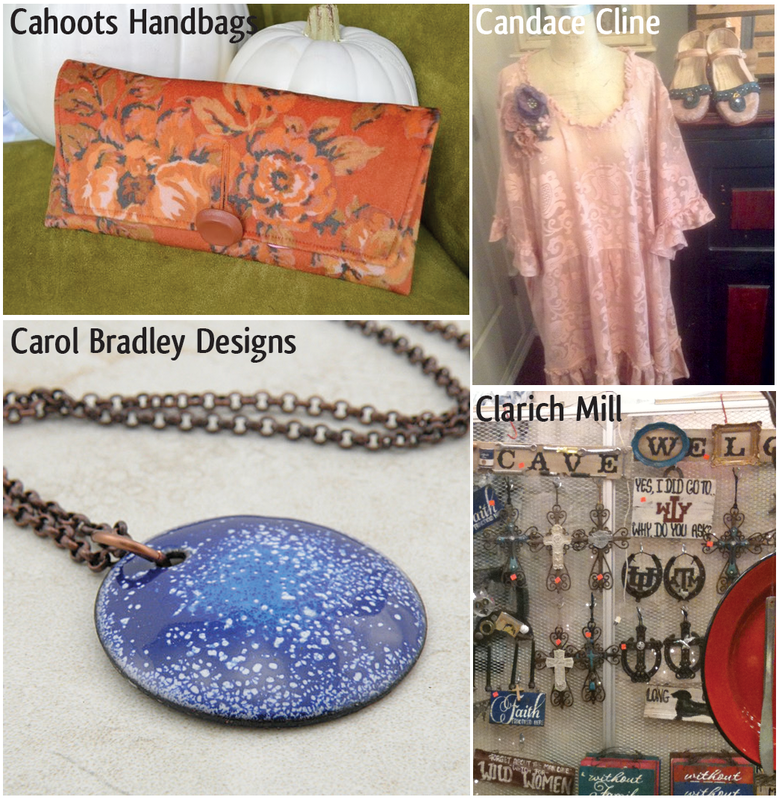 Carol Bradley Designs - Carol A. Bradley has been creating jewelry from gemstones, sterling silver, copper and vitreous enamel for over 20 years. Clarich Mill - Richard Harple has been creating & selling at events for the last thirty years. Coinucopia - Edwin Peet & his wife enjoy traveling & collecting coins as souvenirs resulting in this company. He hand-paints coins from over 100 countries which are used to make many items. Cowboy at Heart - Cowboy at Heart is a company built on Christian and Cowboy ways of life featuring quality home décor and pet luxuries. Crafty Hands - Kathleen Czepiel is a self-taught weaver who views her creations as a legacy that can travel to the future. 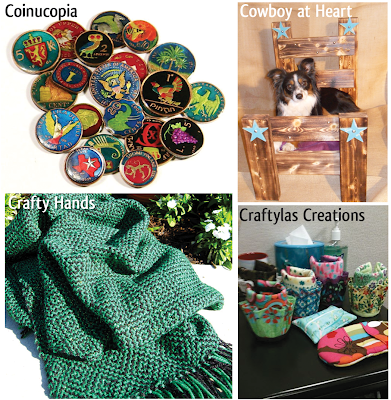 Craftylas Creations - Functional yet crafty items! Craven Crow - Elizabeth Hollingsworth makes creative and colorful floral hair accessories showcasing hand-sewn flowers from satins, cotton, felt, and other texturally interesting fabrics. Creations by kimber - Kimberly A. Fenili is a self-taught doll artist who must do something creative every day. 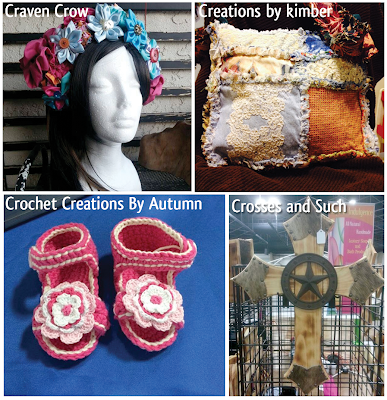 Crochet Creations By Autumn - Autumn Guillory creates fun and funky crochet items from her own patterns. She makes her own recycled t-shirt yarn and uses locally spun or dyed yarn whenever possible. 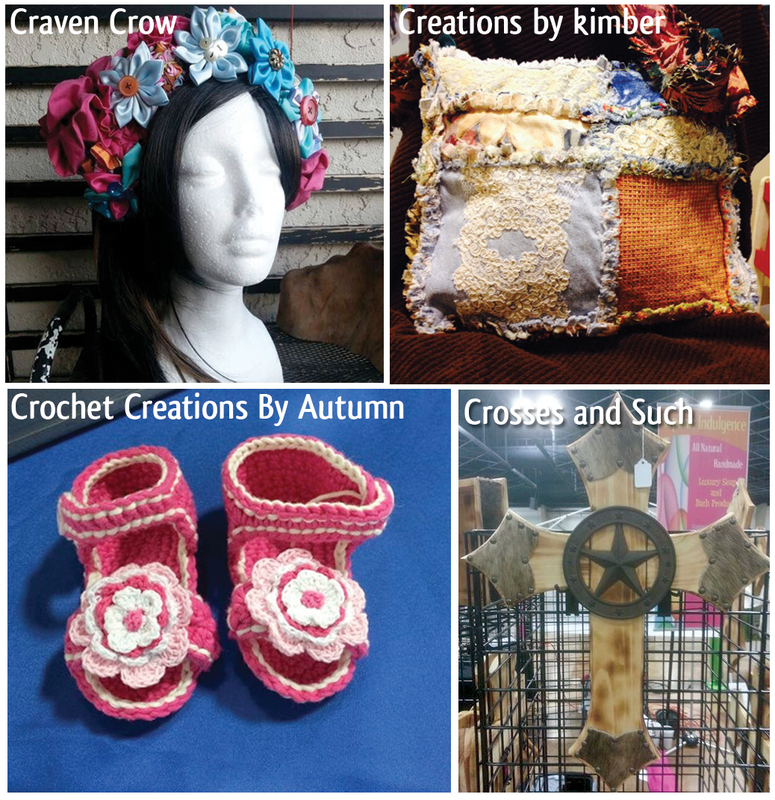 Crosses and Such - Tammy Minter has participated in several craft shows in the DFW area with her crosses & bible boxes over the past 5 years, as well as Canton First Monday Trade Days.